We receive many requests for closing off balconies and terraces on the upper levels of buildings. 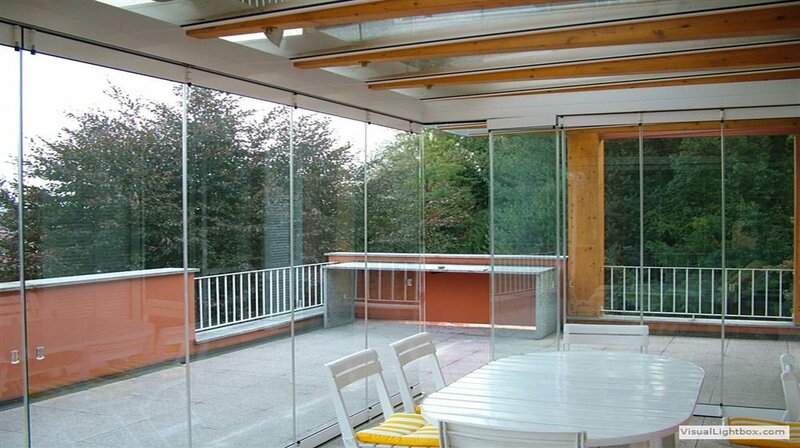 The Giemme System creates a real “all glass” window that can be folded up when needed to leave the terrace completely open. Requests are commonly accompanied by one worry in particular: is it really necessary to install scaffolding to clean the outside of the glass? The GIEMME SYSTEM has solved this problem by patenting an innovative releasable hinge system that allows you to clean the outside of the glass whilst remaining comfortably on the inside of the balcony or terrace. 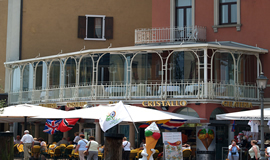 It’s an extremely useful system and was chosen by the Hotel Europa at Riva del Garda to close off their 10m terrace on the first floor dining room. Let’s see in more detail how to clean the glass: slide the panels you want to clean one at a time to where the floor guide rail locks, lock two doors, release the hinge between these two doors (red point in the prior photo), clean the outside and when finished close the hinge and then release the lock. Repeat this operation for the other panels. 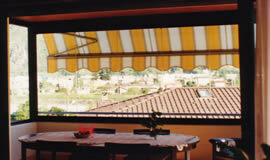 If your balcony or terrace doesn’t have a roof, GM Morando can also make these or other structures. We propose structures that are coherent with our “all glass” philosophy. We use minimum fixtures to take up as little space as possible and therefore allowing more space for the glass. We can also create glass roofs that open up. 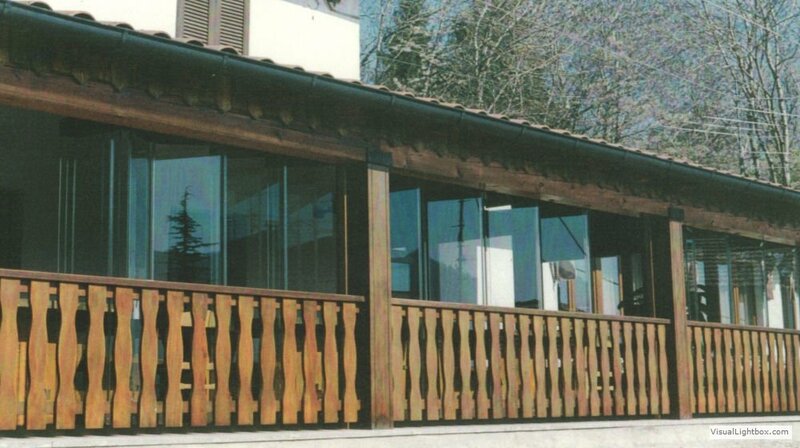 If instead you have different needs we can also create structures with opaque and insulated roofs. 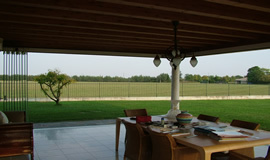 The perimeter columns and the supporting structures can be in iron or wood, depending on your needs. 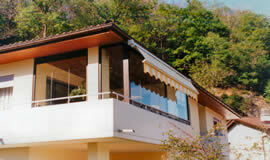 All our creations (roofs, verandas, windows and doors) are made to measure. We provide certification which conforms to regulations. The doors fold up to the mounted side. Available also without a floor guide rail and up to a maximum of 4 doors. Can be opened internally or externally. 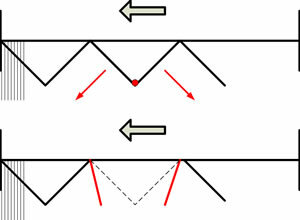 The corner is created by using magnetic seals, without mounts. Can be opened internally or externally. Only available with recessed or external floor guide rail. 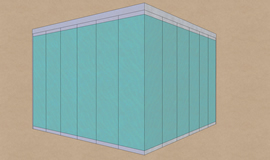 3D is a solution for corners with the “all glass” system. 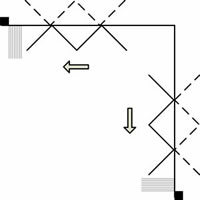 Note the absence of mounts at the corners.